Structural density and functional networks of relationships. The progressive structural change leaves its mark in the centre of Ueberauchen. The free space resulting from this can only be recompressed to a limited extent. New functions coming from outside and activating public life are difficult to locate. 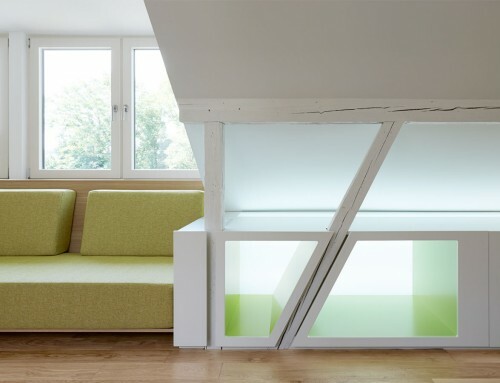 Grown, identity-giving spatial contexts do not exist anymore, over-dimensioned surfaces are arising. 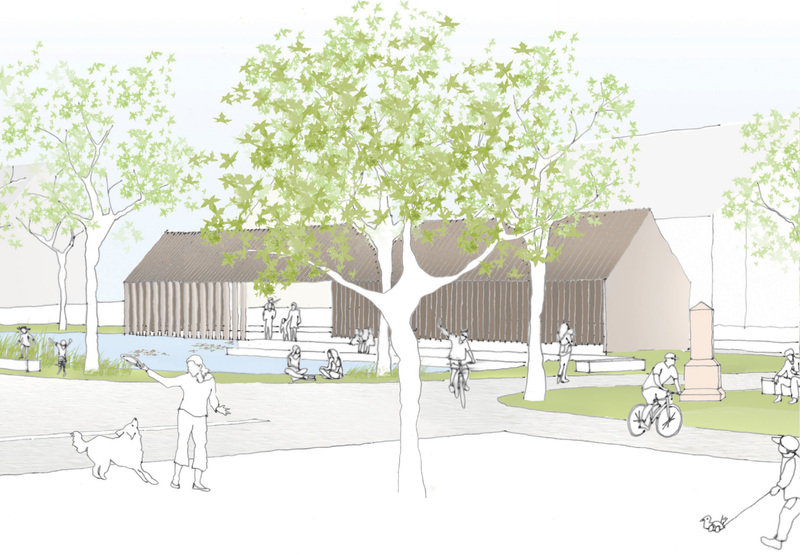 Village pond as an identity-creating image The design is based on the romantic image of the village pond as a central meeting point for a rural community. 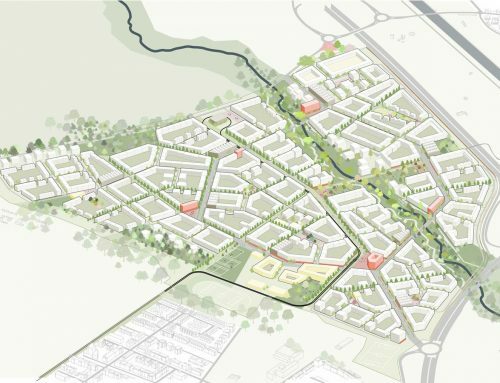 In addition to its function as a source of identity, this pond will also connect the surrounding landscape with the town centre and structure adjacent open spaces in their dimensions. 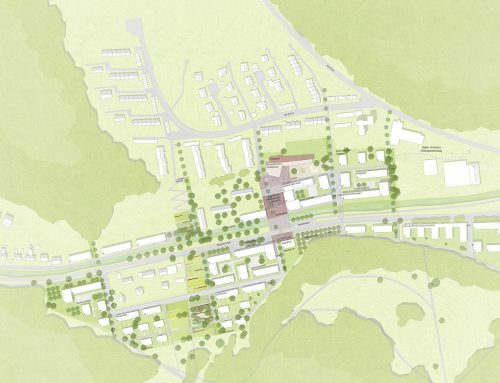 Five more building blocks are grouped around this green island as the key to a vital village centre. 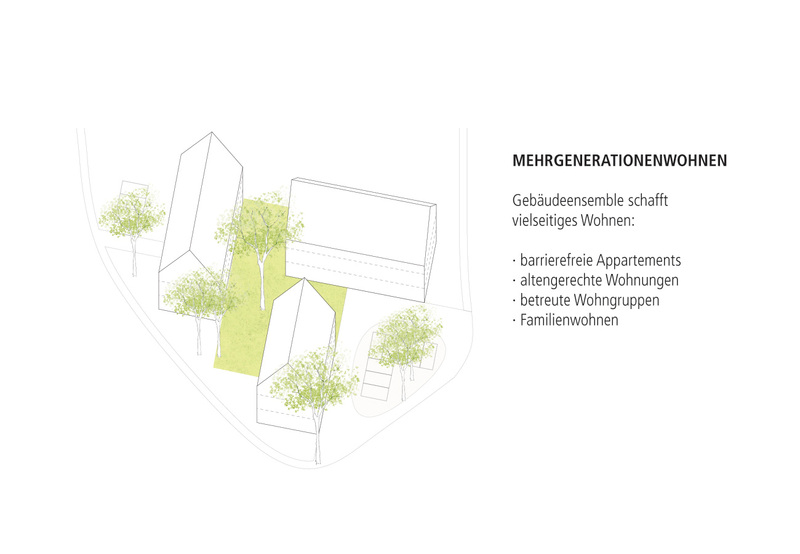 Living in the town centre New forms of living for Ueberauchen are being created on the former Kranz area. 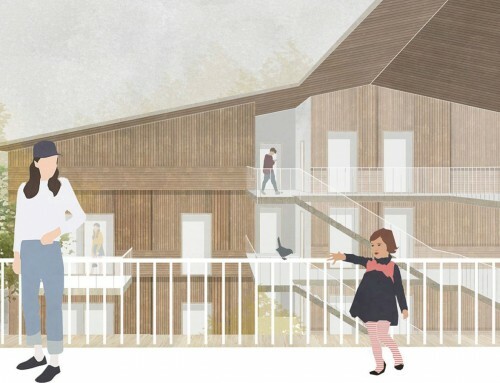 The concept includes flexible multi-generational living and thus offers an alternative to a single-family house in a residential area. The ensemble blends in harmoniously with the townscape through its granulation and setting. Towards Bondelstrasse, the typical position of the buildings with their courtyards facing the street is taken up. Resting place creates identity identity The dismantling of the town centre is carried out with few interventions. The trough, which is created after the demolition of the farm, is modelled, sealed and filled with water. If water from the buried Bondelgraben can be used for this must be checked hydraulically. The tree population remains. The village pond is a new meeting point for the village community. A wooden construction spans a space along the edge of the shore, which is oriented on both sides. 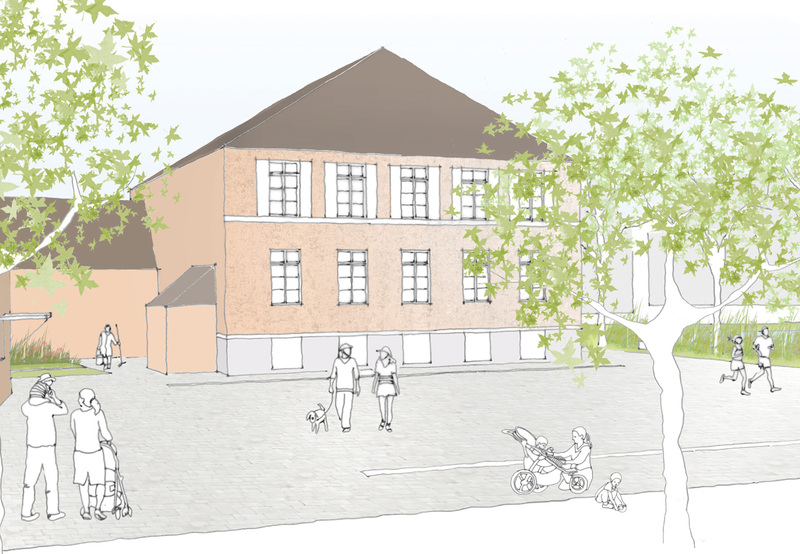 The opening in the direction of Bondelstrasse serves as a bus stop, which will be moved to the centre of the village in the course of the village renewal. Towards the water, seating steps invite the inhabitants to linger. Preserving tradition The museum of local history is revitalised by new uses. 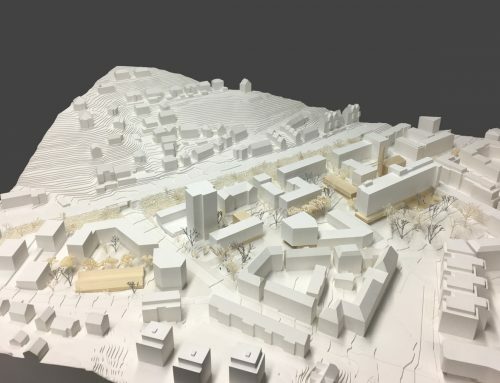 Based on the existing cider mill, a bakery is planned – an invitation to all villagers to continue the tradition together. 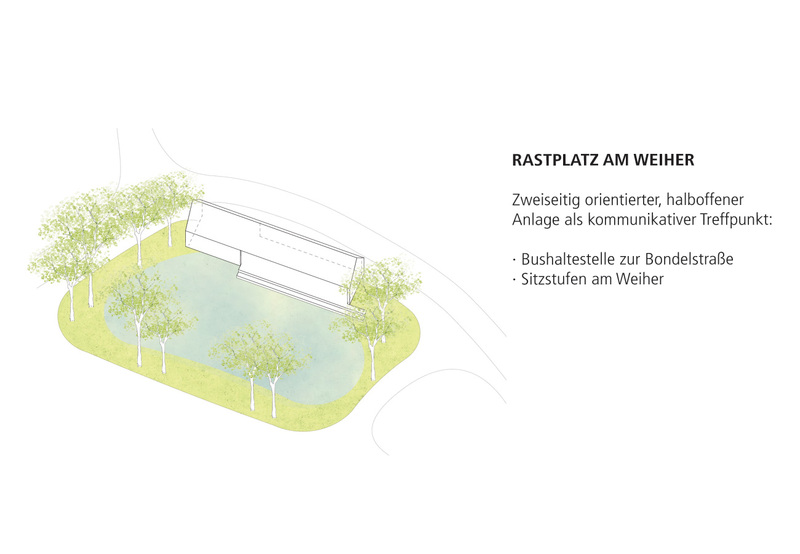 The Brunnenplatz on the west side of the museum is being upgraded by replacing the many aging birches with a few linden trees. The lawn is replaced by a water-bound ceiling with chippings. 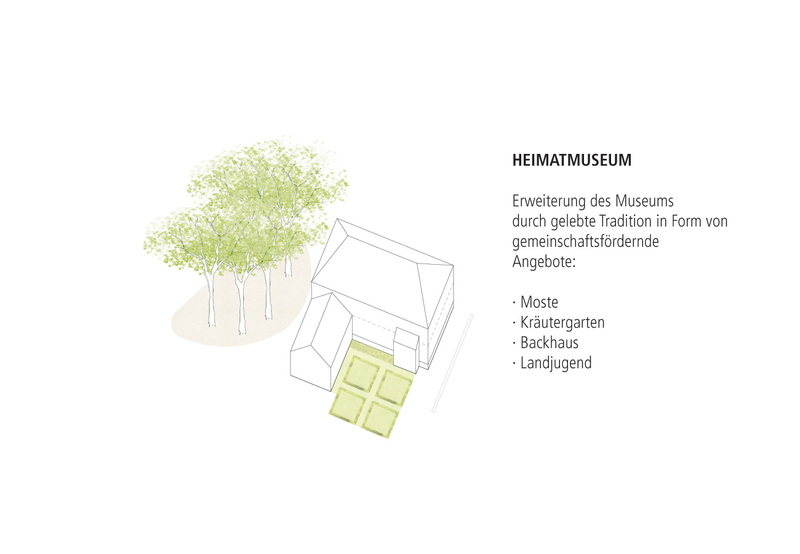 The southern side of the museum will house a museum garden in the language of motifs of the farmer’s gardens. Promoting community The conversion of the foyer of the multi-purpose hall creates the possibility of a “community hall”. A flexible partition wall system makes it possible to maintain the large foyer for events, but also opens up the possibility of dividing the room separately and using it independently of events for village life groups or also for private celebrations.